Kiwifruit have long been known as a decorative and exotic fruit that can be used in desserts and fresh fruit collations. What is less well known is that kiwifruit contain a range of constituents with valuable health-beneficial properties. These range from high levels of high-impact vitamin C to enzymes that assist with digestion, and polysaccharides that promote gut health. 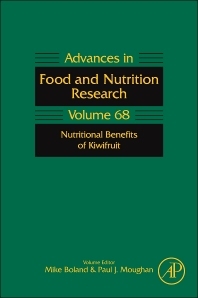 This volume for the first time brings together all the known health and nutrition benefits of kiwifruit in a series of chapters written by authors who are authorities in their fields.